My thanks to San Diego Living for having me as a guest this morning on the show. Migraine attacks are not “just a bad headache,” they’re a complex neurological condition. See a doctor if you have chronic headaches, sinus headaches, headaches caused by a change in the weather, or vertigo, as all of these may be signs you’re having migraine attacks. 90% of all sinus headaches are actually migraine attacks. Food can heal, and avoiding food triggers has been an important part of my personal healing. 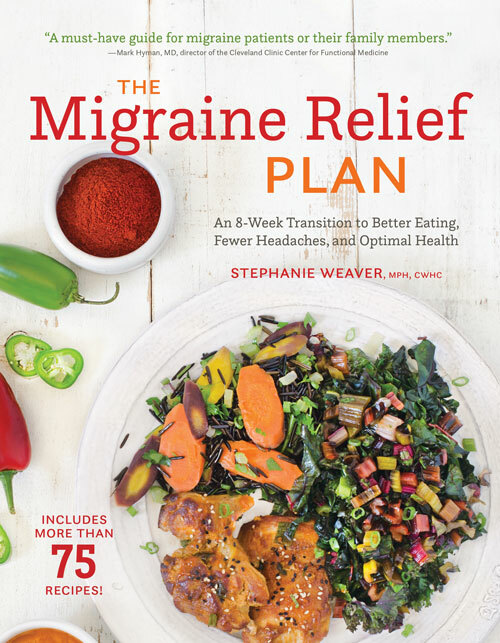 For more information about the migraine diet, please join my email list so you’ll have the latest information and updates for when my new online migraine diet class is ready. Search the Recipe Index for migraine diet recipes. Soy is a powerful trigger, and it’s in nearly all processed foods if you read the labels. Soy sauce, soy protein isolate, and textured vegetable protein are just a few of its forms. Instead, try chickpeas, which have a nutty, creamy texture that blends well into dishes, just like soy. You’ll find recipes here for hummus, chili, soups, pasta, and bean salad using chickpeas. 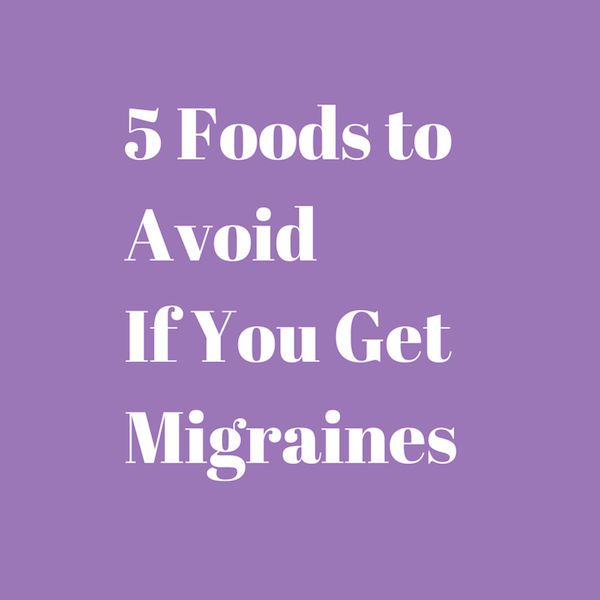 Other migraine-friendly beans include pinto, black, kidney, and white beans. Avoid fava, long, broad, navy beans, all lentils, and pea pods. Caffeine is a strong trigger, although in the short term it can help alleviate a headache because of its effect on blood vessels. Long-term use causes rebound headaches and migraine attacks. Instead, try Teeccino or herbal tea. Have you ever been to Café du Monde in New Orleans? Then you’ve had chicory coffee with your beignet. The coffee substitute Teeccino tastes rich and earthy like chicory coffee, and is a great replacement for the ritual of coffee. Herbal teas are fine, so long as they don’t contain citrus, raspberry, or hibiscus (all triggers too). Can you guess why sugar is a problem? Sugar is inflammatory, and migraine is an inflammatory process. The more inflamed your brain, the easier it is to trigger a migraine. Sugar is in all processed food as well, in many forms. I don’t recommend any artificial sweeteners, as there are many health problems associated with them. Aspartame is made from two excitotoxins plus wood alcohol, which breaks down into formaldehyde in your liver. Excitotoxins are chemicals found in food that excite brain cells, making a migraine attack more likely. So, avoid it. Instead, try an organic stevia with no additives like NatVia. It has a clean, sweet taste, you need very little for sweetening, and it doesn’t have an aftertaste. Are you a chocoholic like me? I love chocolate and it was hard to give it up. But it contains both caffeine and theobromines, another powerful potential migraine trigger. Have you ever known anyone who got a cheese headache? It’s documented in the medical literature. The longer a cheese is aged, the more it’s likely to trigger a migraine because of high amounts of a naturally occurring compound called tyramine (from the amino acid tyrosine). Instead, these fresh, soft cheeses are okay for most migraine sufferers: cream cheese, mascarpone, ricotta, fresh mozzarella (the kind floating in water), and cottage cheese. If you can find organic American cheese, that’s okay too.